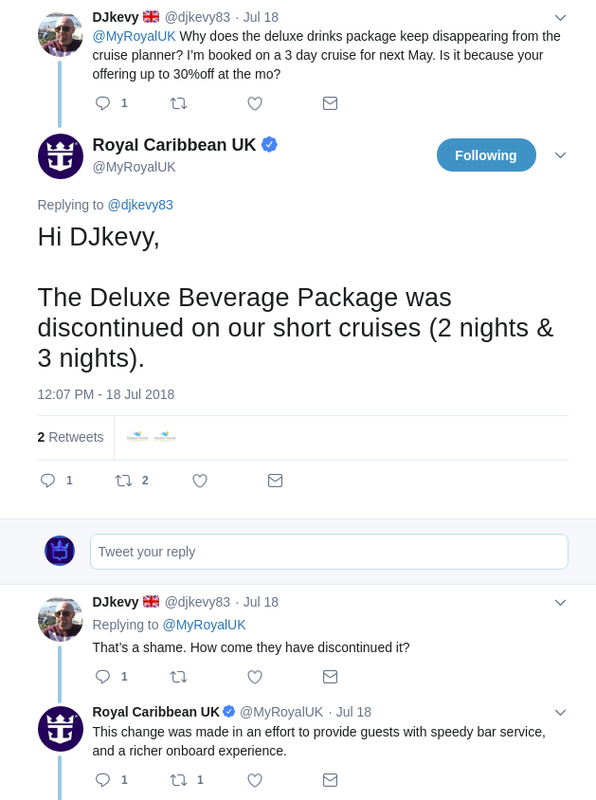 Royal Caribbean UK has discontinued offering guests an unlimited alcohol beverage package (Deluxe Beverage Package) on 2- or 3-night sailings. The packages will only be offered on sailings of 4 nights or longer, according to Royal Caribbean UK's Alcohol Beverage Package Terms and Conditions. 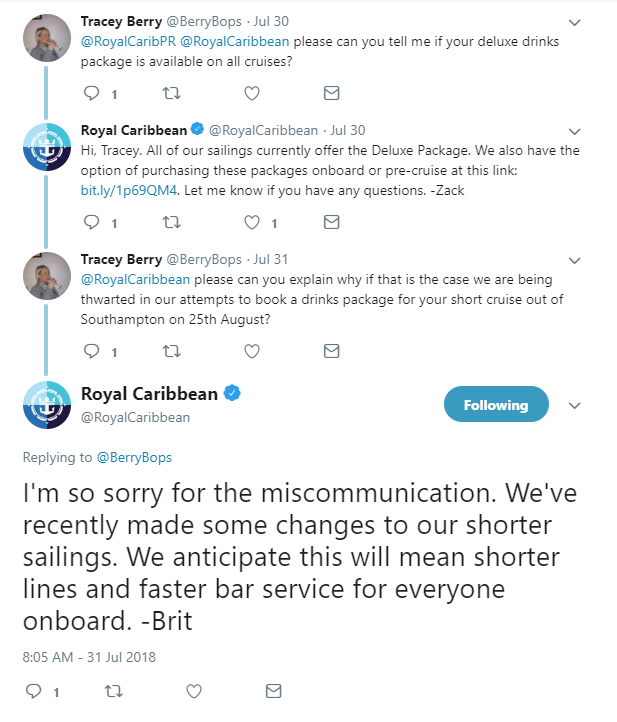 According to Royal Caribbean UK's Twitter page, "this change was made in an effort to provide guests with speedy bar service, and a richer onboard experience." As far as we can tell, this policy change only appears to affect European sailings (or at least ones departing from Southampton) at this time.